As you all may or may not know, a dear friend of mine named Michael Yaniro was a victim of violent robbery in the Ridgewood area of Queens (NYC). He was savagely beaten beyond recognition, and now he’s got a long road ahead of him with many surgeries. To add insult to his injuries, he has no medical insurance! A brief description of his injuries: His right eye socket needs surgery as there is a bone protruding into it… so it needs to be repaired to restore his ability to move the eye. (He has had this surgery, and will need more work in the future). He has a fractured jaw and nose which will require surgery to repair, as well as multiple broken bones in his face. Pieces of titanium metal is to be inserted in his face to support the bones. Twin Stumps recently released a new killer LP on Dais Records. It’s what turned me on to the damaged, caustic noise rock (in a Clockcleaner, Drunkdriver, Brainbombs sense) band. Soon after, their bassist Mike Yaniro was viciously attacked. 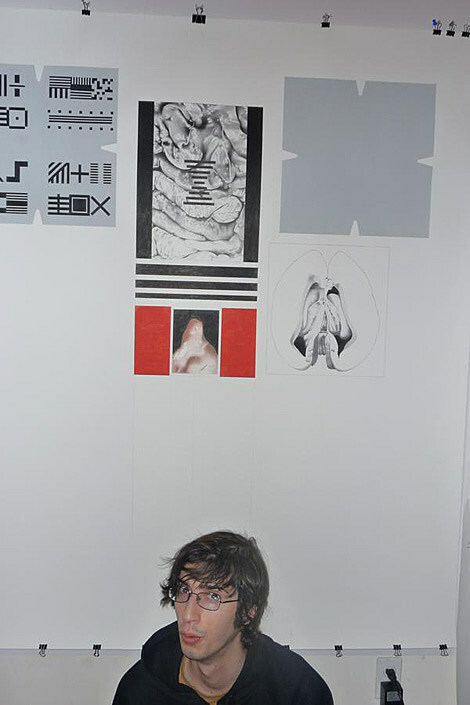 Since then a groundswell of support from the underground has surfaced, including a few benefit shows. 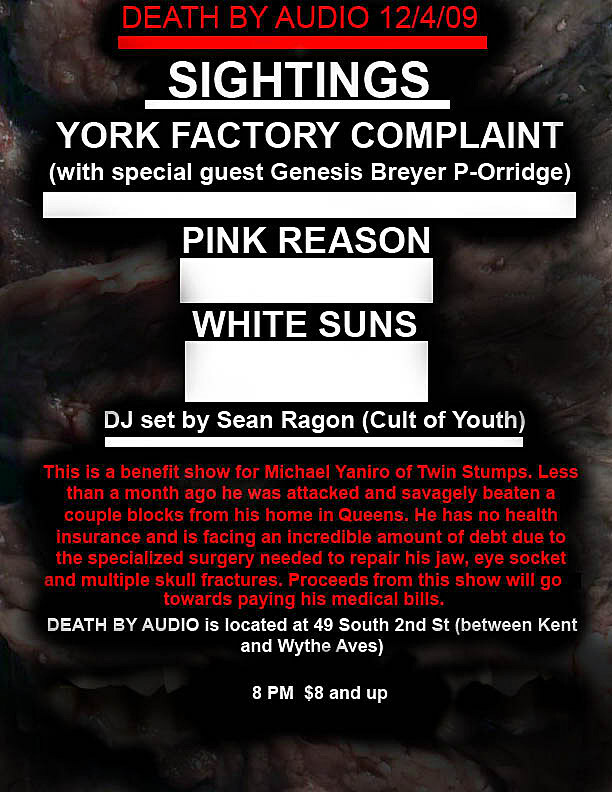 The latest show is scheduled for Dec 4th (Friday) at Death By Audio, where Pink Reason, Sightings, York Factory Complaint (featuring Genesis P-orridge), and White Suns are all on the bill. If you can’t make it on Friday, head to the Mike Yaniro site to see how you can help, or pick up a copy of the Twin Stumps LP (recommended!) here. Get back to rockin soon!